I read with great interest, the letter in last week’s Observer, from Mr L Hill, regarding the misuse of the disabled bays in Western Road, Bexhill. I telephoned the police three times between July 21 and 28, complaining that many motor vehicles were parked in the disabled bays and not displaying blue badges. The first time I was told they did not have the resources! The second time I was told that they would notify the local police station. The third time I was told it wasn’t a police matter but to contact my local council. 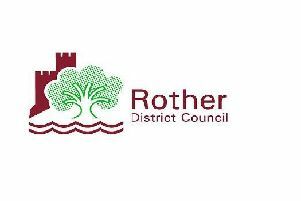 I drove round to the Rother Council office and was told it was Highways. I telephoned Highways to be told that they only dealt with Hastings, Battle and Eastbourne and to telephone the police and tell them that it was their problem. On telephoning back to advise the police, the officer told me that they could only attend when they had someone available to send. It is not funny when you have disabled passengers, especially one who is registered blind and one who has severe walking difficulties and you cannot park in a disabled bay. The only place I could park on 28th July, was in a loading bay at the bottom of Western Road, much to the annoyance of a lorry driver who wanted to park in there. I told him he would have to wait until I could get my passenger, who had to make her way to the top of the road to her optician, safely on to the pavement with her three wheeled mobility walker and then I would be moving. Now we know why parking in Bexhill Town Centre and Little Common, is so out of control. It is because the Police, Highways and Rother District Council are not willing to take on the responsibility for the disgraceful and inconsiderate parking.